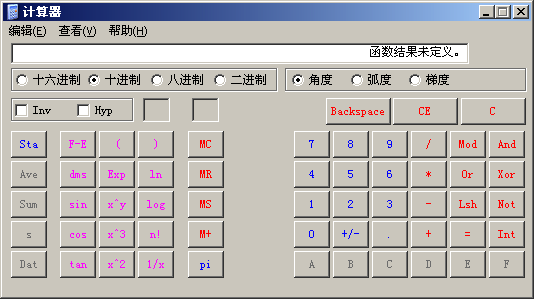 （Windows计算器）函数结果未定义？-技术宅的结界 - Powered by Discuz! // Only do the divide if the top isn't zero. // raise an exception if the bottom is 0. // 0 / 0 is indefinite, raise an exception. // 0/x make a unique 0. GMT+8, 2019-4-20 22:26 , Processed in 0.113913 second(s), 41 queries , Gzip On.